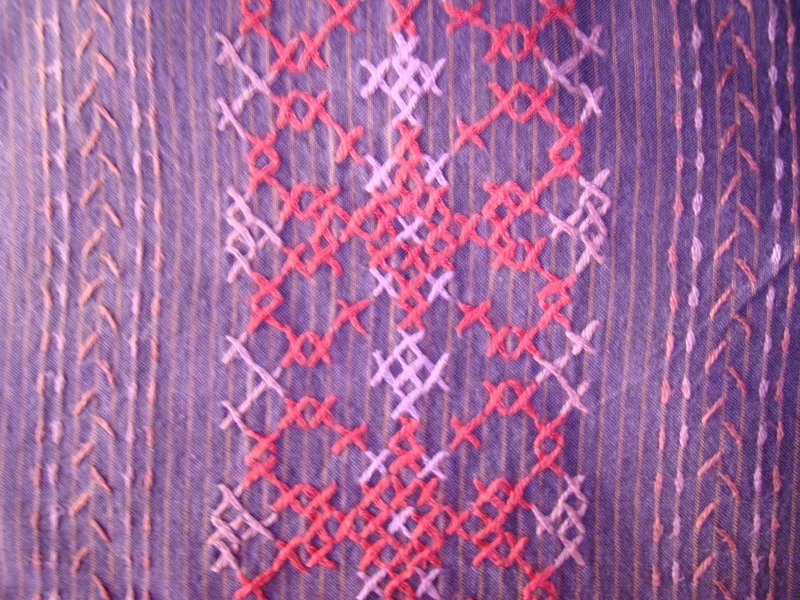 I had a mangalagiri fabric in violet with pink [dull] stripes. I also bought a fabric in same pink for salwar. . Then I had this extraordinary idea of working a cross stitch border for the whole length[42 inches!] of the tunic. After getting into this idea enthusiastically, I wanted two panels in front and for sleeves. .I had to trace, only the cross stitch pattern for the front[the fabric already had stripes, which can be used for lines] though, I couldn’t escape , from tracing fully for sleeves . Now for colours-medium pink was the base,then dark pink was chosen,later light pink was also added to the group. 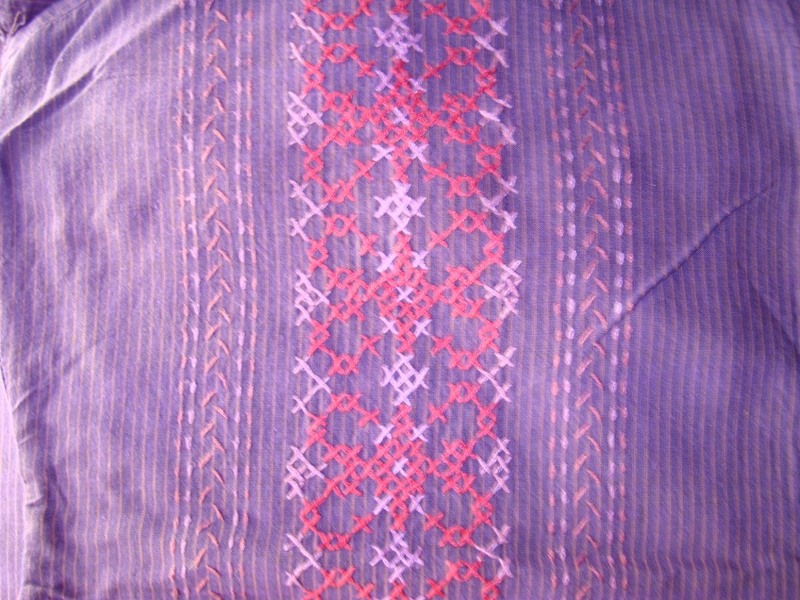 the anticlimax- I washed the tunic, the violet colour ran like anything and changed the colours of the light and medium pink threads for ever! It also made the dark pink dull. Looking at this tunic ,I don’t know whether to laugh or cry. Now it looks like a printed tunic. I became very careful in choosing the thread colours after this.